If you stayed in town for the Thanksgiving holiday or are back in town early, take advantage of the annual Randall Neighbor Day, which takes place tomorrow at the Corcoran Gallery of Art. All residents of Southwest and Near SE (Zip codes 20024 and 20003) get free admission to the Corcoran - normal admission is $10. This community benefit was negotiated with the ANC back when the Corcoran was planning to move its College of Art + Design to the Randall School site. Those plans fell through and now the Telesis/Rubell team is seeking PUD approval for a new modern art museum, a restaurant, commercial space, and 550 residential units; however, Randall Neighbor Day remains. Current exhibitions at the Corcoran include Alex Prager: Face in the Crowd and Mia Feuer: An Unkindness. The Corcoran is located at 500 17th Street, NW and is open tomorrow from 10am to 5pm. The opening of Sky House for leasing and move-ins was originally scheduled for Monday, December 2, but the date has been pushed back. During the hard hat tour of the east tower on the 13th of this month, there was still some work left to do in the common areas, but it appeared that the building would be ready for occupancy (at least for the lower floors) by December 2. I haven't been able to find out why the date has been pushed back or what the new opening date is, but I suspect it has something to do with the buildings being for sale. Empty buildings are more valuable to a prospective buyer than ones with tenants in them, since as soon as a tenant moves into the buildings, TOPA rules go into effect if the buildings are sold, which would allow tenants the first right of refusal to purchase in the event of a sale. The new website will still launch on the 2nd, with detailed unit type and amenity information. It was reported today in Housing Complex that DCHA did not receive a HUD Choice Neighborhoods Planning Grant for Greenleaf, which was built in 1959 and includes a cluster of townhomes, mid-rise, and walk-up units from I to M streets, between 3rd Street and Delaware Avenue. 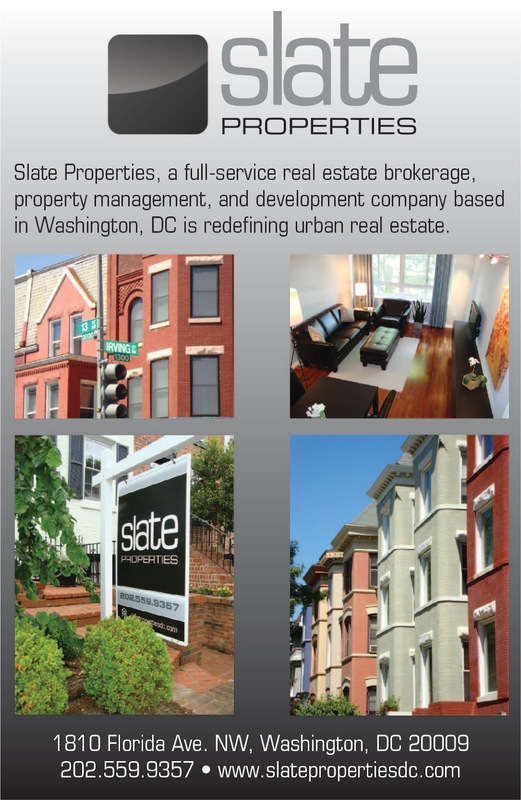 In addition, Greenleaf Seniors is a high-rise at the SE corner of Delaware Avenue and M Street, as well as a mid-rise building located at 203 N Street. There are a total of 497 units in all three sections. The housing authority applied for the grant back in May and would have used the $500,000 grant money to help plan for the eventual redevelopment of Greenleaf. The townhomes at Greenleaf Extension were recently painted. 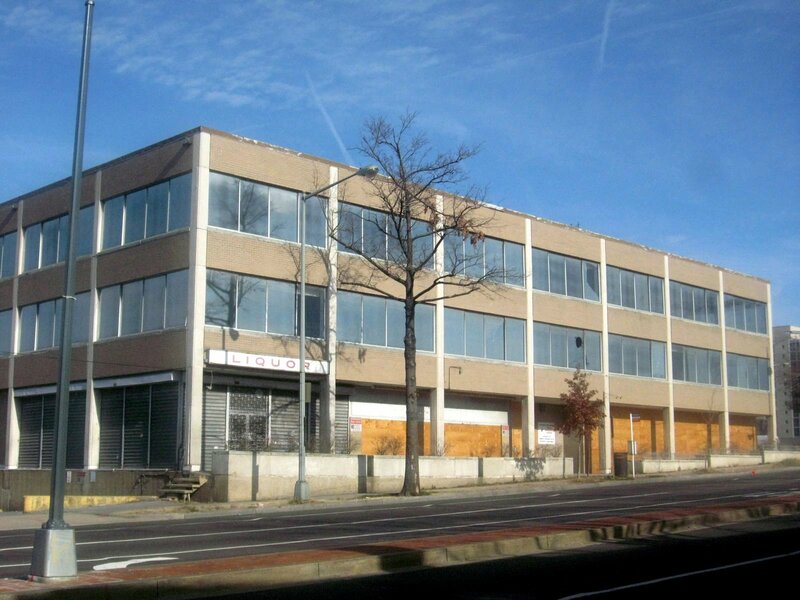 Despite not receiving the grant, DCHA still intends to move forward with plans for redevelopment since the buildings are near the end of their useful lifespan. 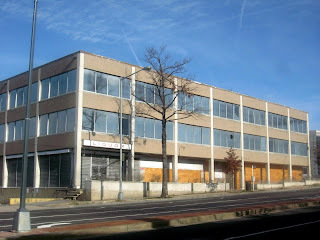 As a part of the application, DCHA had to demonstrate to HUD how it would redevelop Greenleaf with or without a grant. A private partner will be brought in to help redevelop the complex. Redevelopment was expected to get underway in about five years, but it appears from the Housing Complex article that the setback may delay the project. View of Greenleaf buildings from the roof of Sky House. 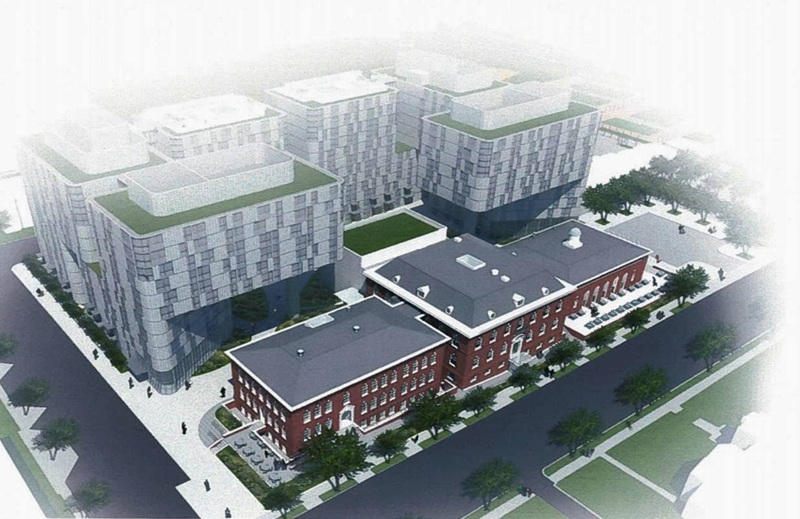 At Monday’s ANC 6D meeting, the commissioners unanimously gave qualified support to the latest plans for the Randall School site redevelopment at Half and I streets. A few outstanding items still need to be spelled out, including a community benefits package and a construction management plan. 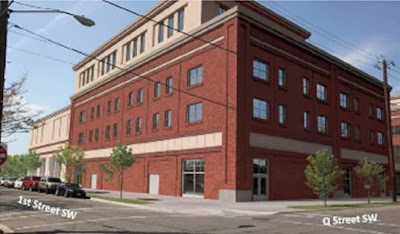 Also this week, the Historic Preservation Review Board (HPRB) gave unanimous approval to the planned unit development. A contemporary art museum will be located in the original 1906 center building - the first floor of the museum will be used as a community cultural space that’s open to the public, with a library, café, an art gallery featuring local artists, auditorium, and meeting space. Other arts-related uses will be located in the west wing – perhaps a culinary school. A restaurant with outdoor seating will be in the east wing (both wings were built in 1927). Behind the center building, a new three-story addition will house additional exhibition space for the art museum. Two 12-story towers with 550 residential units will wrap behind the historic buildings and courtyard. Some changes were made to the plans from the original PUD submission that were recommended by the HPRB. For instance, curved windows were added to the residential addition, as well as more balconies and transparent bridges between the wings of the residential buildings. In addition, a glass façade has been added that will connect the historic central building to the 3-story museum addition so the back of the historic building will be visible. In the front of the building, the balustrade will be restored and the retaining wall will be replaced with a historically appropriate curb. The sidewalk will slope downwards toward the entrance to the central building while the sidewalk will slope upwards to the other two I Street buildings. The Telesis/Rubell team will meet with the Zoning Commission on December 2nd. At the ANC meeting, Marilyn Melkonian from Telesis stated that once the development team gets approval from the Zoning Commission, that construction may begin in 2014. The first phase includes the historic buildings, museum addition, and one of the residential buildings. 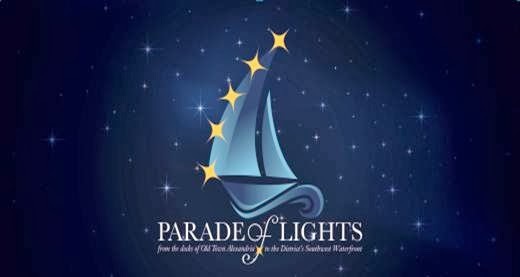 The annual Parade of Lighted Boats will take place on Saturday, December 7, from 6pm to 8pm at 7th Street Landing, co-produced by the Washington Waterfront Association and the Old Dominion Boat Club. Activities include live music by Nadine Rae and the All Stars; lighting of the Southwest Christmas Tree; photos with Santa; bonfire with s'mores and marshmallow roasting; hot chocolate and warm apple cinnamon cider; gingerbread cookie decoration; and the parade of boats. In order to register a boat in the holiday parade, visit this website. Boat registration ends on November 29. 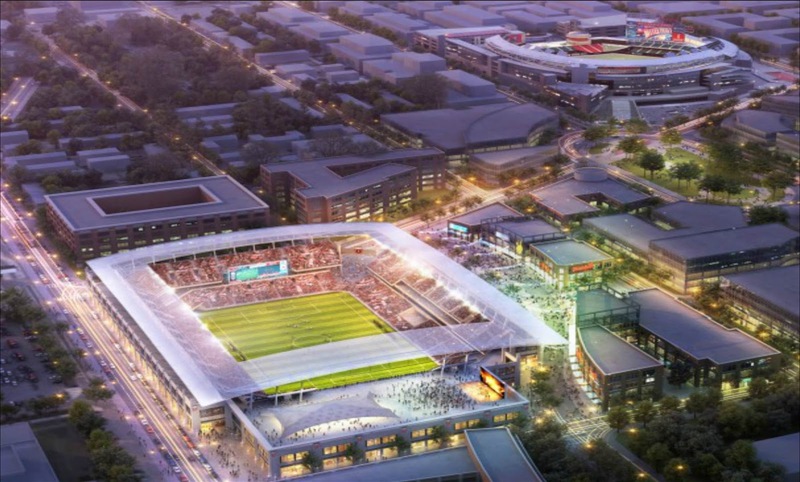 Capital Business has a photo tour of Buzzard Point around the area where a new DC United stadium is proposed. Ahead of its grand opening on December 2nd, the folks over at Sky House gave a media tour today of the east tower building. Some of the finishing touches are still being made to the building, so the photos still show construction activity. Sky House is the adaptive reuse of the former EPA towers at Waterfront Station, with the east tower having the address of 1150 4th Street. Construction of the east tower began in February 2012 with the west tower beginning a few months later. This will be the second apartment building to open in Southwest this year - Camden South Capitol opened in April. Vicki Davis and Alan Lederman from Urban Atlantic led the tour of Sky House. JBG is also a partner in the development and will manage the property. Former EPA building in early 2012. There are a total of 530 units in both buildings, with the east tower having 266 units and the remaining 264 units in the west tower. Twenty percent of the units will be affordable for households earning up to 50% of Area Median Income (AMI), which is $43,000 for a family of two. Both buildings will be at least LEED-Silver, with energy-saving LED lighting and recycled materials among some of the green features. Overlooking what will be lower level of fitness center w/ weights. Some of the unit features include electronic key entry, hardwood floors in the living areas, granite countertops, stainless steel appliances, movable islands, glass enclosed showers, ceiling fans in the bedrooms, walk-in closets, and floor-to-ceiling glass windows. That floor-to-ceiling glass in the living area comes in handy for several units that contain bedrooms without windows. Instead, most of these interior bedrooms have glass near the ceiling to allow natural light into the rooms. LED lights have also been installed by those glass panels to provide additional mood lighting in the evenings. Most of the units have 9’6” ceiling heights, but units on the third and 12th floors have 12’ ceilings. The DC Job Fair will be held tomorrow at Arena Stage (1101 6th Street). This is the second time that Ward 6 Council Member Tommy Wells has hosted a job fair with Arena Stage. According to Wells' website, companies onsite will include Bank of America, City Year, Comcast, Community Services Foundation, DC Department of Human Resources (DCHR), DC Water, Dress for Success, Forest City, Giant, Safeway, Specialty Hospital of Washington, Strive DC, UnitedHealthcare, United Planning Organization (UPO), Unity Health Care, U.S. Army, U.S. Office of Personnel Management and Washington Metropolitan Area Transit Authority. The DC Job Fair will be held from 10am to 2pm. Over at the Southwest Duck Pond at 6th and I streets, the PAWS of Southwest have partnered with the Neighbors of Southwest Duck Pond to host an event to celebrate Veteran's Day on Saturday. There will be a Patriotic Pet Parade, judged by local veterans, along with music and light refreshments. Pet owners should arrive at noon and the parade will begin at 1pm. Patriotic costumes are encouraged for dogs and their owners. In another sign that the transformation of the Southwest Waterfront to The Wharf will soon begin, houseboats at the Gangplank Marina have started to be relocated to temporary quarters. For instance, some houseboat owners at F Dock near 7th Street are being shifted south to C Dock. The houseboats are being moved so construction can begin on phase one of The Wharf. During this phase, the Capital Yacht Club will be moved from its current location next to Jenny’s Asian Fusion at 1000 Water Street and rebuilt between 7th and 9th streets. 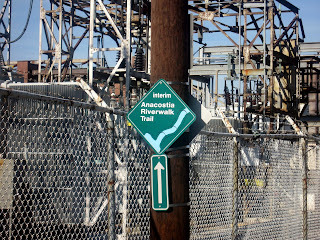 Back in August, Kastles Stadium at The Wharf was dismantled. No financing agreement has been publicly announced yet for the project and therefore no official construction start date has been set. 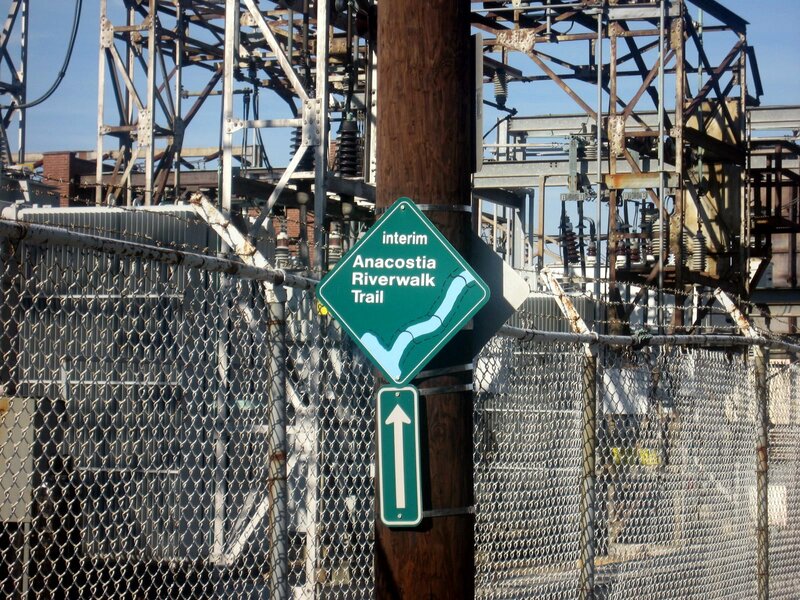 DDOT will be hosting a public meeting on Monday evening to discuss the North-South Corridor Planning Study, a 9-mile corridor connecting Buzzard Point with Takoma. The study area extends east-west from about 16th Street, NW on the west to approximately one-quarter mile east of Georgia Avenue, NW. A streetcar line is planned to connect these areas and the study to determine alignment will last one year. After the one-year study period, there will be an environmental review and then potentially the start of construction. There will be four meetings, but the one located in Southwest will be on Monday, November 4 from 6:30pm to 8:30pm at St. Augustine's Episcopal Church (600 M Street). Two more sets of public meetings will be held during the study period. 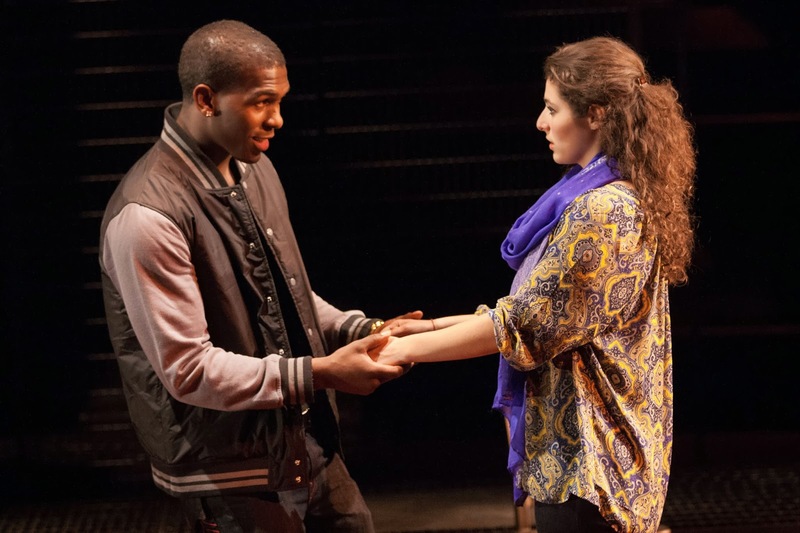 The world premiere of Charles Randolph-Wright’s Love in Afghanistan, directed by Lucie Tiberghien, has made its debut at Arena Stage. Love in Afghanistan takes place on a military base in Kabul where an American rapper who comes to the country to perform for the troops falls in love with an Afghan interpreter. Melis Aker plays Roya the interpreter; Khris Davis portrays the rapper named Duke; Joseph Kamal is Roya’s father Sayeed and Dawn Ursula plays Duke’s British-Jamaican mother Desiree. The love story seemed forced and the lack of chemistry between the two main characters was evident. If anything, the tryst between Sayeed and Desiree seemed more authentic. The best part of the show was toward the end of the first act and the beginning of the second act, but the rest of the performance was forgettable. Desiree’s character provided some comic relief and for the most part this task was accomplished, but again, the lines seemed forced and not natural. This love story in a faraway land was not properly executed in my opinion. Love in Afghanistan runs until November 17 in the Arlene and Robert Kogod Cradle and tickets are between $40 - $90.